Auto Ship & Earn + 190 Points What's this? 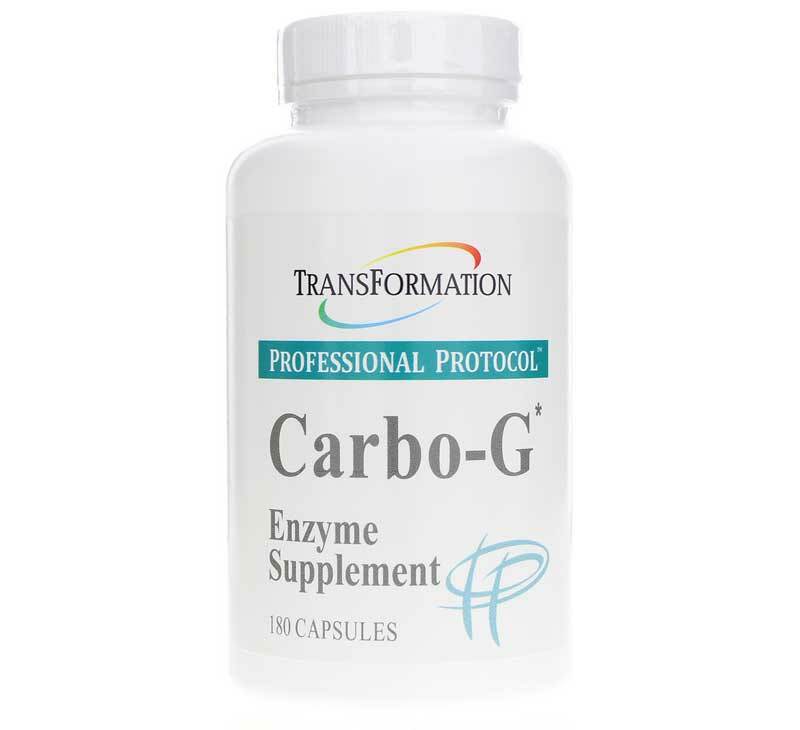 Carbo-G from Transformation Enzymes is an enzyme blend with probiotics designed to help maintain optimum digestion of all foods. 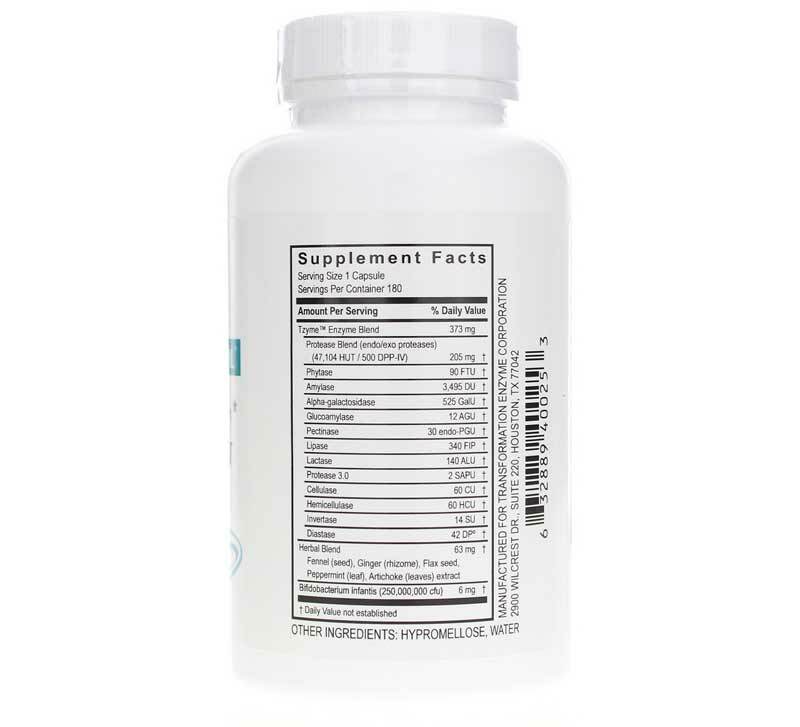 This formula also includes herbs that may help reduce the symptoms of occasional food intolerances. For those who are considering a gluten-free diet, Carbo-G includes both the enzymes that break down the polysaccharides which encase gluten as well as the DPP-IV protease necessary to digest gluten proteins. 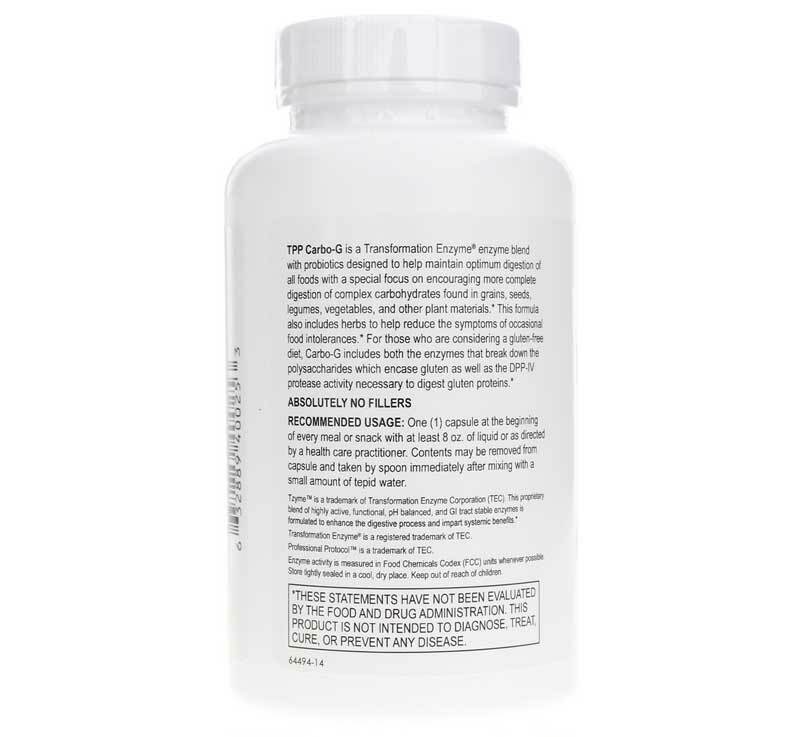 This proprietary blend of highly active, functional, pH balanced, and GI tract stable enzymes is formulated to enhance the digestive process and impart systemic benefits. Adults: One (1) capsule at the beginning of every meal or snack with at least 8 oz. of liquid. Contents may be removed from capsule and taken by spoon immediately after mix-¼ing with a small amount of tepid water. Usage may be increased according to need as directed by healthcare practitioner.